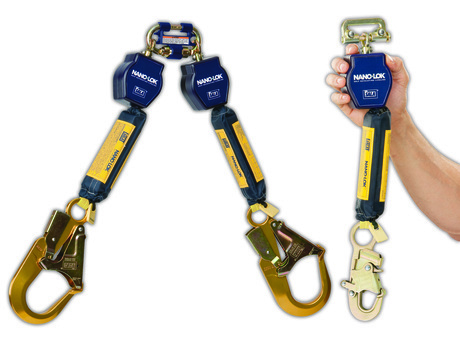 The Nano-Lok self retracting lifeline (SRL) range can be used in place of lanyards and can be directly attached to any harness, reducing fall clearances. The SRLs are virtually unnoticeable to the user when worn and provide the ultimate worksite flexibility. The single or twin SRL quick connector designs leave the dorsal D-ring available for other uses and provide a snug fit, eliminating nuisance flopping. The SRL technology retains tension on the lifeline at all times, keeping it out of the worker’s way and reducing dragging, snagging and trip falls. The automatic activating arrestor locks quickly to stop falls within centimetres, reducing freefall distances and providing more protection at lower heights. It also features a 1.8 m web lifeline for added strength. The SRLs have multiple anchorage options. The quick-connect anchorage connector allows the SRL to be attached directly to the back of most harnesses without the requirement of a separate karabiner. Instead of being attached to the D-ring, the SRL attaches around the web, allowing the D-ring to be used for other equipment or rescue. The cab-mount anchorage connector allows the SRL to be attached directly to the cab of an order picker, while the swivelling loop provides a full range of motion. The SRLs can also be arranged as twin-leg SRLs, providing 100% tie-off capabilities. 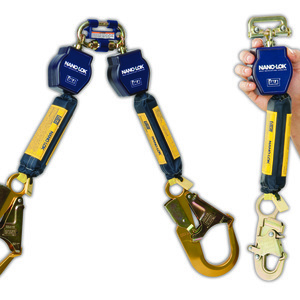 The twin-leg configuration provides continuous fall protection and added mobility when moving from one location to another and can be used to replace twin-leg shock-absorbing lanyards. The quick-connect anchorage connector allows both SRLs to be attached directly to the back of most harnesses. 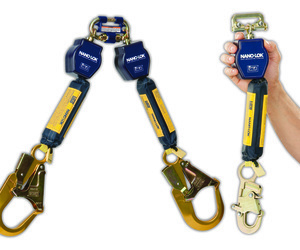 I am interested in Capital Safety Nano-Lok self-retracting lifeline (SRL) range .